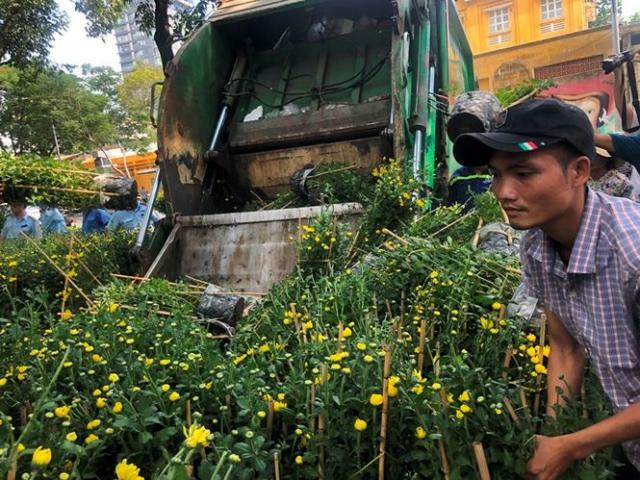 While the chairman of Nghia Hung District People & # 39; s Committee (Nam Dinh) confirmed that "information is not true", people said the municipal authorities had "the green light" to give others the & # 39; dirty & # 39; losing abusive words from a family. Family in municipalities Nam Dien and Nghia Hung. In the morning of April 16, Mr. Sai Hong Thanh, Chairman of the Nghia Hung District People's Committee, Nam Dinh Province, in the morning of April 16 against the Nguoi Lao Dong newspaper that he had a good understanding of the fact that a household in the Nam municipality Dien prosecuted the commune authorities. Green light for people to go to the "foul" clam of a household and asks the CPC to make a report. 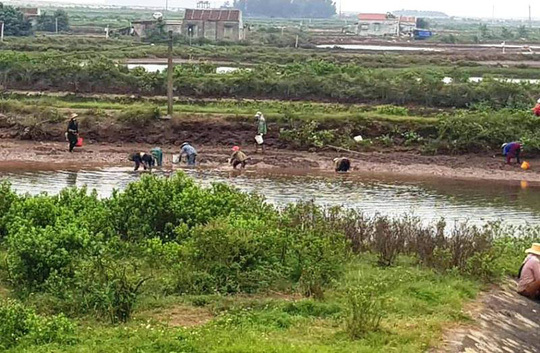 The lagoon area of ​​the family of Mr. Tran Van Truong has released mussels that were given the "green light" by the government to make people "stink". According to the reflection of Mr. Tran Van Truong's family (living in hamlet 1, Nam Dien municipality, Nghia Hung district, Nam Dinh province), his family received an administrative sanction decision from Nam Dien Commune People & # 39; s on April 9 Committee. on the illegal release of shellfish (gibbon) in sewer CM3 (Con Xanh area managed by Nam Dien Commune People & # 39; s Committee). The decision clearly states that Mr Truong has been fined 4 million VND and requested that the consequences (illegal collection of clam) be remedied within 2 days of the decision coming into force. "What my family is printing is to make a decision on April 10, the CPC issued on loudspeakers so that people can freely enjoy shellfish and crustaceans on the river where my family is growing mussels. 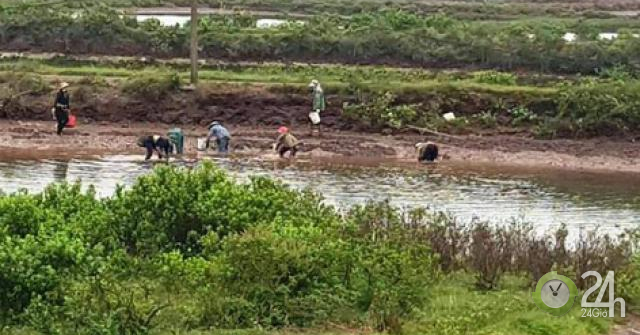 In 2 days, the family was unable to collect all tens of tons of mussels of about 1 billion, so early in the morning of April 11, dozens of people rushed to the river to steal my family's mussels. "- Mr. Truong & # 39; s information . According to Mr. Truong, the family cannot stop it because people are forbidden by the municipal police and don't let my wife and I go to the lagoon. "My family actually releases illegal bivalves, not allowed by the authorities, but this is a wide river, no one can see what to do, the family benefits from releasing shellfish. Knowing it is wrong, we will stick to it However, when I received the decision, the congregation gave people the freedom to exploit the shell of the family so that we could not hold our hand "- he was irritated. When asked about the decision on administrative penalties, the family dropped just 50 kg of clam seed, so why is the loss of 1 billion VND? Mr. Truong said that the number of mussels in the river has not only been released, but from October 2016, his family has saved 300 million seed money until this point is not yet harvested. Reporters have repeatedly contacted the telephone number of Mr. Nguyen Xuan Tuyen, Chairman of Nam Dien Commune People & # 39; s Committee, hoping to obtain objective information, but received no reply. Sai Hong Thanh said the above information is not true. "I ask the Chairman of the People's Committee to report to the district, while at the same time officials are proposed to introduce the clarification" – said Mr. Thanh. In accordance with the regulations, 12 o'clock on the 30th day of the lunar new year, all stalls selling flowers in the park must be cleaned to pay for the property ….